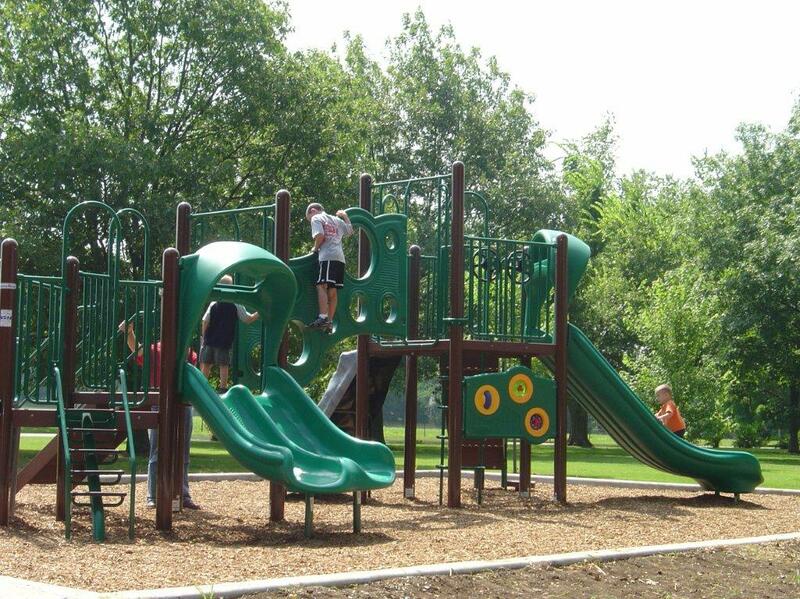 Many residents refer to Oswego’s Historical Riverside Park as Oswego’s hidden gem! Take the time to visit and you will see why. All total the park has over 80 acres of land and the following amenities: Oswego Community Center; Labette County Fairgrounds; Kamp Siesta RV Park; Shelter Houses; Flowers, Shrubs and Special Gardens; Oswego Swimming Pool; tennis courts, basketball court, horseshoe pits, ball fields, playground equipment and lots of room to walk – for all ages and abilities. 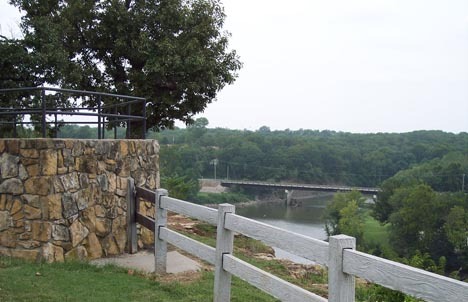 One last thing you must see when visiting Riverside Park is the beautiful overlook that allows you a grand view of the Neosho River Valley. There are not many small communities who can boast of this type of spectacular scenery that provide beautiful changes with each season. Not to mention the many types of wildlife that abound, including several Bald Eagle. Oswego Historical Riverside Park has quite a history. There are four Shelter Houses which are available on a first come first serve basis. However, you may also reserve a shelter house for a small fee. Recently the city approved a policy for park weddings. If you are interested in holding your wedding in Riverside Park, click here for details. Approximately eight years ago a not for profit corporation was formed, known as the Oswego Parks & Community Foundation. During that time donations have been received from many benefactors for a new concrete split-rail fence along the bluff; new period street lighting from the Community Center and through the main area of the Park; metalwork of buffalo; assistance with the purchase of new playground equipment; park benches and drinking fountains. 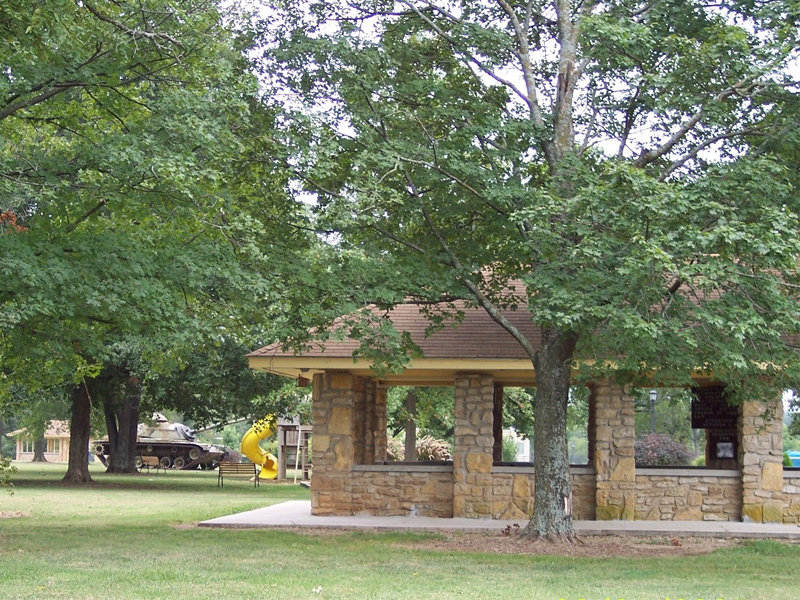 Projects being considered include replacement of the shelter house on the west side to be constructed with native stone similar to the three others; and replacing the sidewalk from the community center to the park, including a bridge over the ravine. Donations may be submitted to the Oswego Parks & Community Foundation at P O Box 210; Oswego, KS 67356. The City of Oswego has a Tree Board consisting of five members. Meetings are held the first Thursday of every other month at 7:00pm. 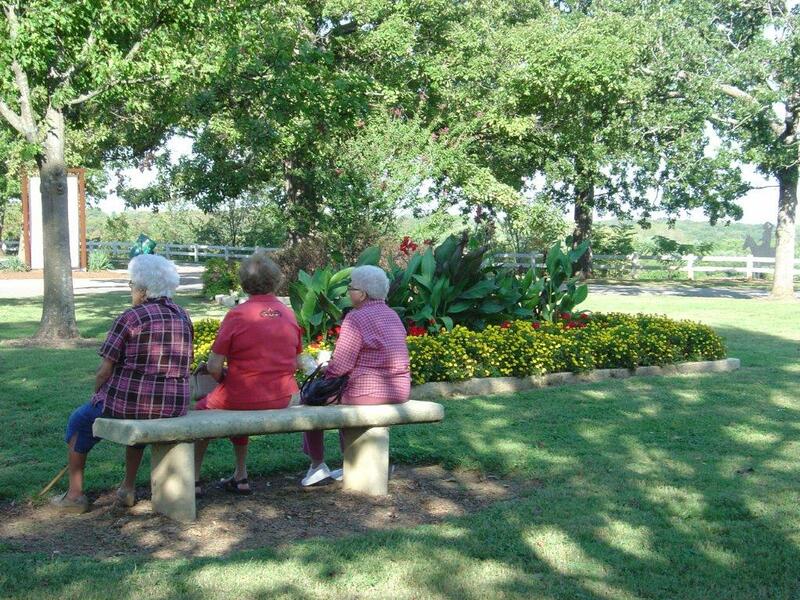 Some of the events and projects the Board participates in each year is the Arbor Day Celebration and Tree City USA. Every April the Board invites the public to the planting of a tree in celebration of Arbor Day. The City of Oswego is also very proud to have been certified as a Tree City USA for over 20 years due to the efforts of the Tree Board. 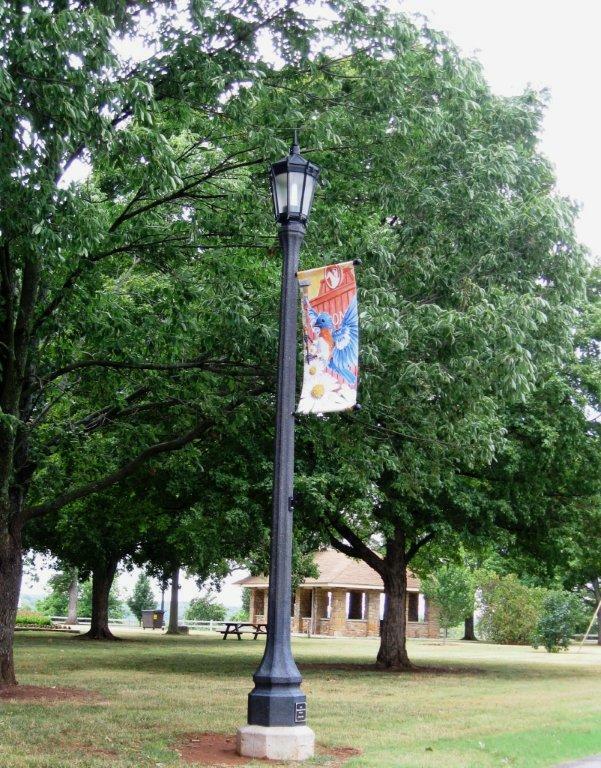 In order to be certified as a Tree City USA the city must meet requirements set forth by the National Arbor Day Foundation and the Kansas Forest Service each year. Ordinance 916 defines the creation and establishment of the Tree Board and provides additional information on the duties of a board member. If you are interested in serving on this board when there is an opening, you can call the City Office at 795-4433 or fill out the Committee Volunteer Form and submit it to the City Office. You will be notified by the City Office if you are appointed to fill the position.